The Afghan Community and Cultural Association of Ireland was founded by Afghan emigrants living in Ireland. Most of the members of the ACCAI are artist and government employees who left Afghanistan in what they call a “Brain Drain”. This phenomenon is shown when many educated people leave their country or origin in search of a better life. Afghanistan is a multilingual country in which two languages – Pashto and Dari – are both official and most widely spoken. Both are Indo-European languages from the Iranian languages sub-family. Regional languages, such as Uzbek, Turkmen, Balochi, Pashayiand Nuristani are spoken by minority groups across the country. 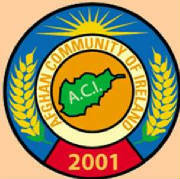 The purpose of ACCAI is to be active in international cultural exchange, to celebrate special holidays and festivals for Afghani emigrants living in Ireland, to act on behalf of Afghanis living here, to support refugees and asylum-seekers of Afghani origin, to publish a regular English-language newsletter, to establish cultural links with organisations in Ireland and abroad, and to assist and advise organisations who run projects in Afghanistan. ACCAI, who are located in Dublin, have been active in presenting exhibitions and festivals, in providing interviews to the media and in several anti-racism activities, including the International Day against Racism conferences, the Sport against Racism Ireland (SARI) events and Amnesty International sponsored meetings. At instanttranslation.ie, we offer professional interpreting and translation services for Persian and many other languages. Contact us to discuss your needs.